New smartphone or tablet owner? Here are 3 things you should hold off doing. Millions of children, adults and people somewhere in-between will have received new gadgets from their friends and loved ones, allowing some to finally enter the digital age and discover the world of mobile computing. As you may have already discovered, technology blogs (including ourselves) are using their collective expertise to mine the hundreds of thousands of applications available and pick out a small selection to help you get started. Others have gone to the trouble of taking you through the setup process and holding your hand until you are finally ready to handle that iPad or that Android phone without help from the resident 14-year old gadget expert in your family. That’s great, but as ZDNet’s James Kendrick points out, mobile devices are becoming increasingly personal and some people should be left to themselves to identify what works for them. Having said that, this article is another recommendation piece, but this has the intention of helping you avoid making common mistakes with your new mobile phone or tablet device and getting off to a bad start. Consider it a bit of friendly advice that you can use before you let The Next Web or the Internet’s finest tech websites suggest how to get the most of out it. Rethink purchasing a screen protector. That glass-fronted iPhone or Android tablet looks like it has been deliberately designed to collect scratches the minute that you remove it from its packaging, but they are a lot more durable that you think. Whilst the iPhone 4 and iPhone 4S might be susceptible to damage when you drop them, the screen on these devices (and most modern handsets and tablets) is made from a variant of Corning’s Gorilla Glass — a chemically reinforced glass material that is revered for its strength, scratch resistance and thinness. It is estimated that Gorilla Glass was used in 20% of the world’s 200 million mobile phone handsets in 2010 and has increased its share since then. That means your mobile device is likely to feature that all-important toughened glass. It doesn’t matter which screen protector you buy, there will always be that tiny layer between you and your device’s touchscreen. When all you want to do is pinch-to-zoom, scroll down the screen or draw a quick doodle, the screen protector is just another barrier to the already smooth and responsive glass on your smartphone or tablet. If you’ve ever tried to put on of the damned things on, you’ll know the pain that everyone feels when they want to ensure the alignment is just perfect, without getting the rage-inducing air bubble. This isn’t to say you shouldn’t get a case or grab a protector if you are so inclined – cases can be invaluable. With a decent case, you can reduce the chances of your device ever meeting a surface that can scratch or impact your device — reducing the need for a protector. 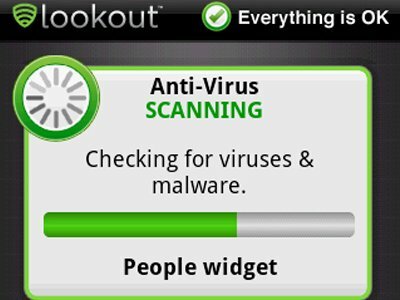 Use common sense, not virus checkers. Given millions of Windows users are still opening dodgy file attachments in their emails and infecting their PCs, this is easy to say but the chances of it resonating are slim. Mobile viruses and malware are still in their infancy but that isn’t to say that they can’t capture some of your personal information or rack up an insanely large monthly phone bill. However, the vast majority of malware developers are unable to circumvent both Apple’s and Android’s built-in security protections — unless you let them. If you received a new Android phone or tablet for Christmas and you are interested in downloading the very latest apps, always ensure you download from the Android Market and stay away from those enticing downloads on third-party websites that claim free downloads of the same paid apps — they are destined to cause trouble. Even if you do install these apps, Android will still prompt you to provide the application with permission. This prompt will list the services that app requires, requesting access to services including your phonebook, messages, system tools and your personal information, allowing you to determine whether that racing game really is a racing game (especially when it needs unfettered access to a large number of services on your device). The same goes for Apple, but due to the tight control the company has over its devices, you are unlikely to be able to infect your new iPhone, iPad or iPod Touch with an erroneous download, as Apple will not typically allow you to install it. The problem with Android virus checkers is that their effectiveness is relatively unknown and if they are run on a slower device, they can take up important resources that could be better appropriated elsewhere. They have also been known to interfere with the Android platform itself and caused users to restore their operating system to get their device back to a usable state. Always remember, you will not be the first or the last to be presented with a difficult choice to make when it comes to downloading a file or application on your mobile device. A quick Google search will almost certainly be able to provide some insight and help you from doing any damage to your device or your mobile phone bill. Don’t rush to Jailbreak or Root your device. 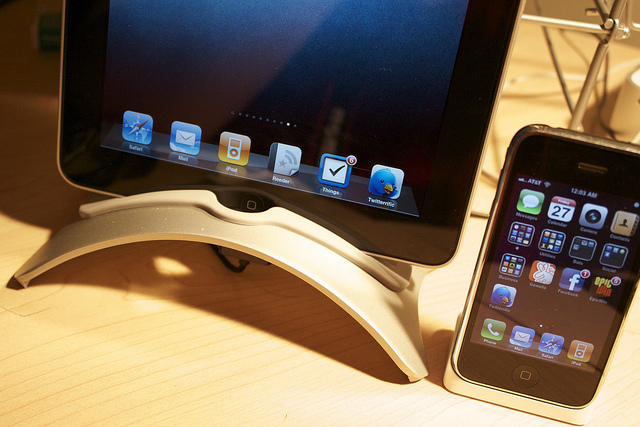 Devices powered by Google’s Android and Apple’s iOS platforms are the hostellers in the smartphone and tablet markets. Both have been embraced by the mobile developer community to remove restrictions that have been put into place by both Apple and Google and in some cases the vendors that build Android devices. 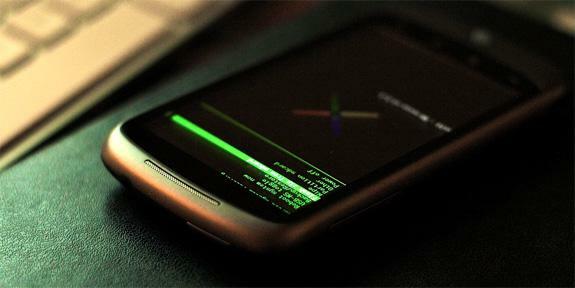 On iOS, users can ‘Jailbreak’ their iOS device and on Android, users can Root their smartphone or tablet. Whilst they sound pretty different, they involve escalating the user’s privileges on their device and allowing them to perform actions not usually permitted by Apple, Google or smartphone/tablet vendors. This may enable you to install custom software (or ROMs) and modify your device but if you have just received it as a gift or bought one as a Christmas present to yourself, it does come with some potentially annoying drawbacks. You are running the risk of voiding your warranty and reducing the chances of vendor assistance should you need to return it if you encounter issues. Modifying or ‘flashing’ your device also increases the chances of ‘bricking’ your device, meaning it could be unusable if something goes wrong. Think of it this way, if you can’t afford to replace your new smartphone or tablet out of your own pocket, you shouldn’t be modifying your handset. Or, if you are a power user – go nuts. It’s always wise not to throw your new mobile gadget, jam a CD-ROM into it or use it as a doorstop but we’d hope that you wouldn’t want to do that with such a useful piece of technology anyway. The points above may be common knowledge and simple for many but there are ever increasing numbers of technophobes and older people picking up smartphones and tablets for the first time and will be eager to check out all of the opportunities available to them, especially if they act upon recommendations from friends and family. Whatever you choose to do with your smartphone or tablet, it is your device and you should do whatever you feel comfortable with. We hope that these three tips help identify certain things you shouldn’t necessarily rush into doing, allowing you to learn how to operate your tablet or new mobile phone at your own pace. If it’s a little basic for you but you believe it would be of worth to a friend or family member, do be sure to pass it on!